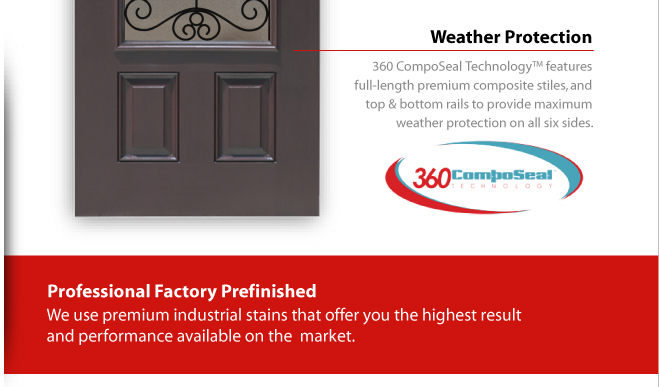 Our factory prefinished fiberglass doors give have a natural wood charm with all the benefits that are unmatched by wood doors. 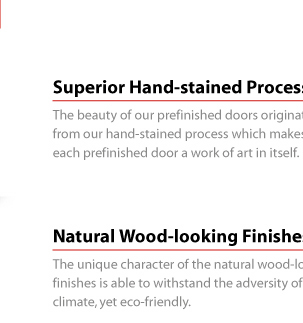 • Superior Hand-stained Process – The beauty of our prefinished doors originates from our proprietary hand-stained process, making each door a work of art. • Natural Wood-looking Finishes – Unique character able to withstand the adversity of any climate, yet eco-friendly wood-looking beauty. 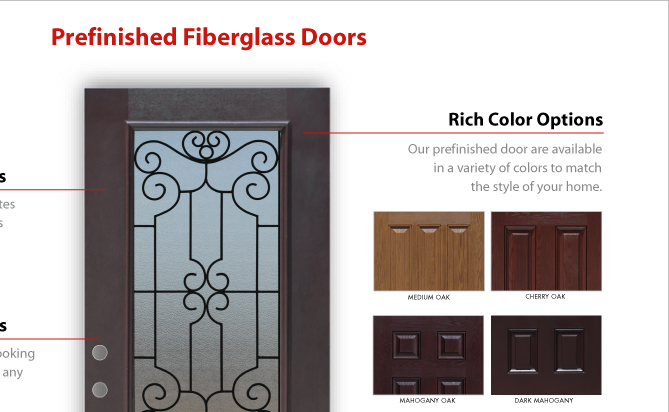 • Rich Prefinished Door Color Options – Prefinished doors are available to match any style home include medium oak, cherry oak, mahogany oak, and dark mahogany finishes.